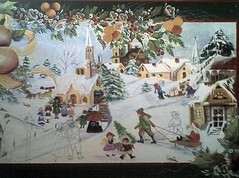 Hi Carol, I just love your painting of Christmas even though it is not finished,I am the same I have a few myself but that is the beauty of this art you can go back to do a bit more. Well Carol have a great time this season also enjoy the food that comes with it.Regards Marion. Merry Christmas.